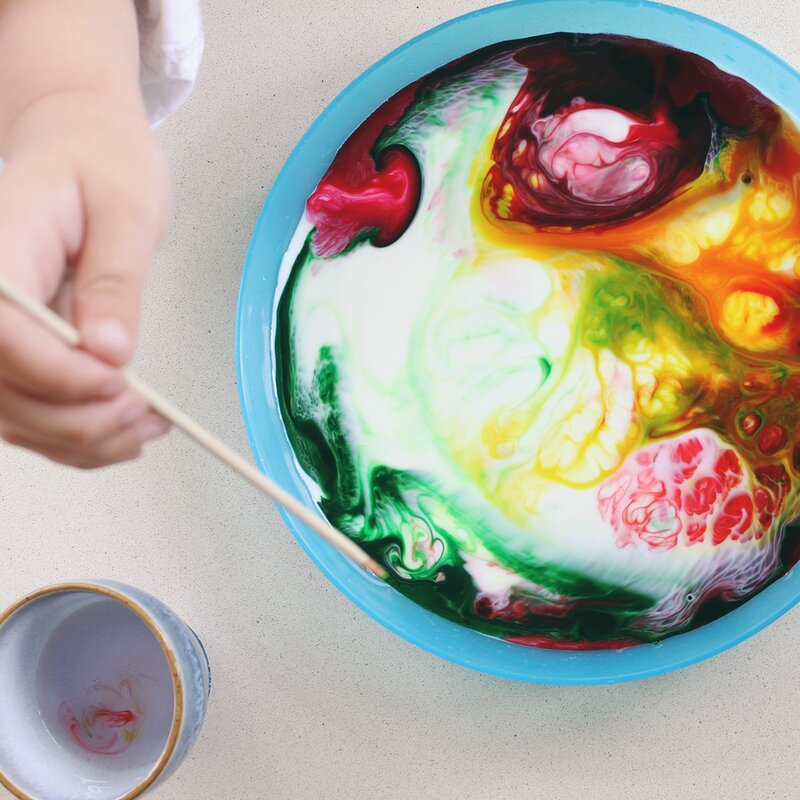 Sometimes the most enjoyed craft activities with little ones are the most simple and the ones that give a quick result for their effort. 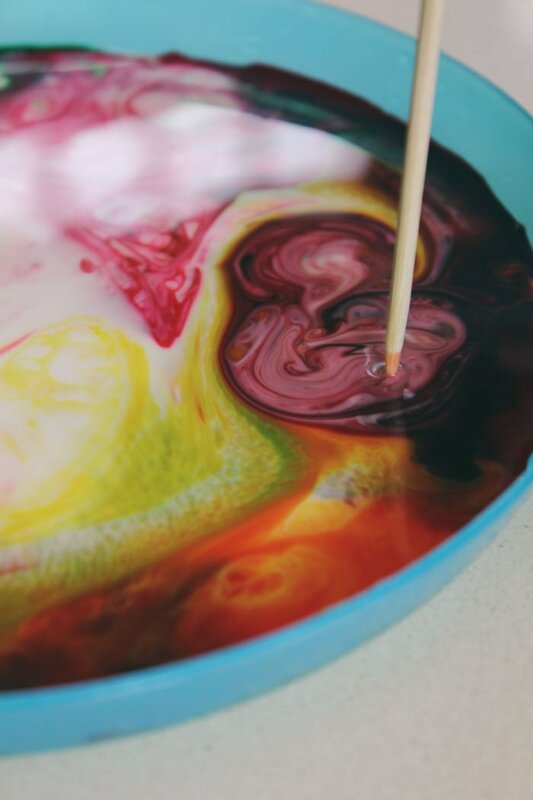 This adored activity here at tiny & little definitely fits that description! 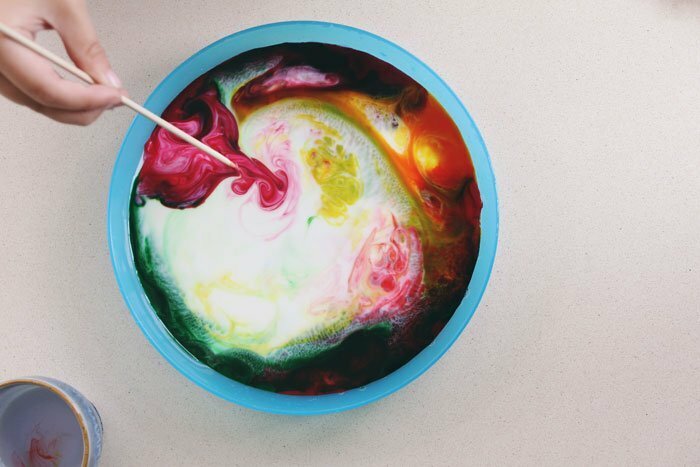 All it takes is the question “Who wants to make colours explode in milk? !” and the sound of little feet running quickly to the kitchen bench fills the room. It’s quick to set up, easy to do and they get instant results as they make the milk do magic things. 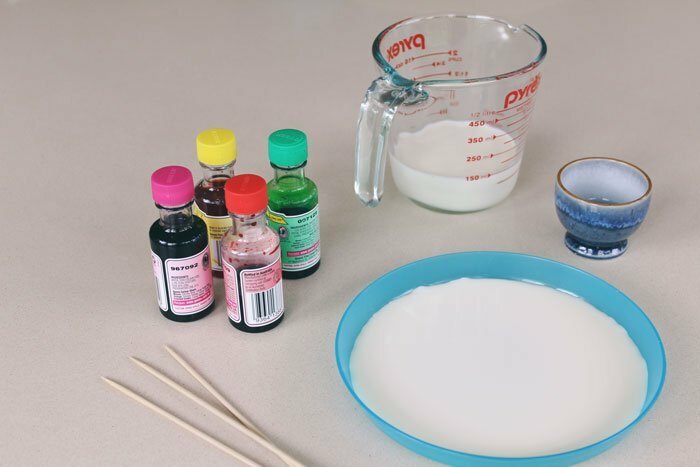 Best of all, it’s done with items you’ll most likely have in the pantry so it’s a craft idea you can pull out at the last minute… like when dinner needs to be on the table in ten minutes and the little ones need some distraction while you’re cooking. 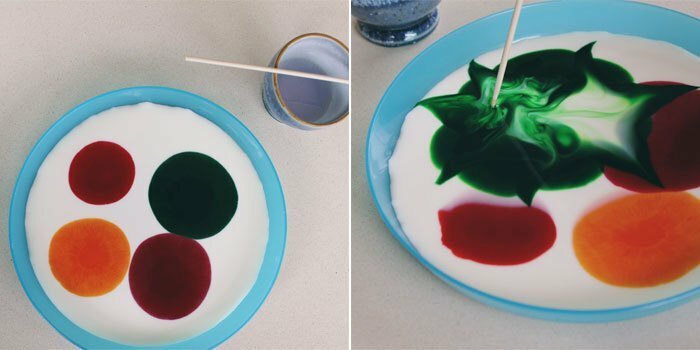 Dip the end of the skewer in the dishwashing liquid and then touch the food colouring in the milk. 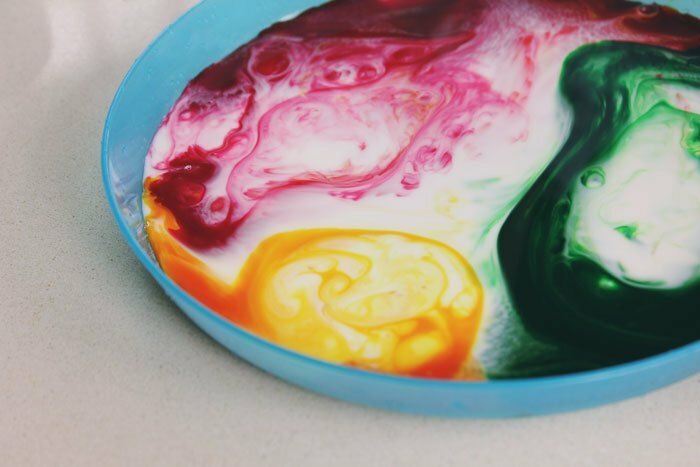 The lactic acid in the milk will react to the dishwashing liquid and move which causes the food colouring to ‘explode’ across the surface of the milk. Keep repeating this step until the colours don’t move anymore.